Connect with trusted community to solve critical challenges in business. We help connect the dots. If you work in or for a fast-moving industry, you know that there is no replacement for constant re-evaluation of how to solve critical business challenges. It might be that you’re facing the daunting task of connecting legacy systems with modern necessities, the age-old challenge of increasing revenue or just finding like-minded colleagues to bounce ideas off of. No matter what you’re tackling, you need resources. ​That’s where we come in. Remodista’s unique community offers you the opportunity to connect. Connect with trusted solution providers, with brand leaders, with industry experts and partners. We connect people to innovation, problem solving, efficiency, and leadership. 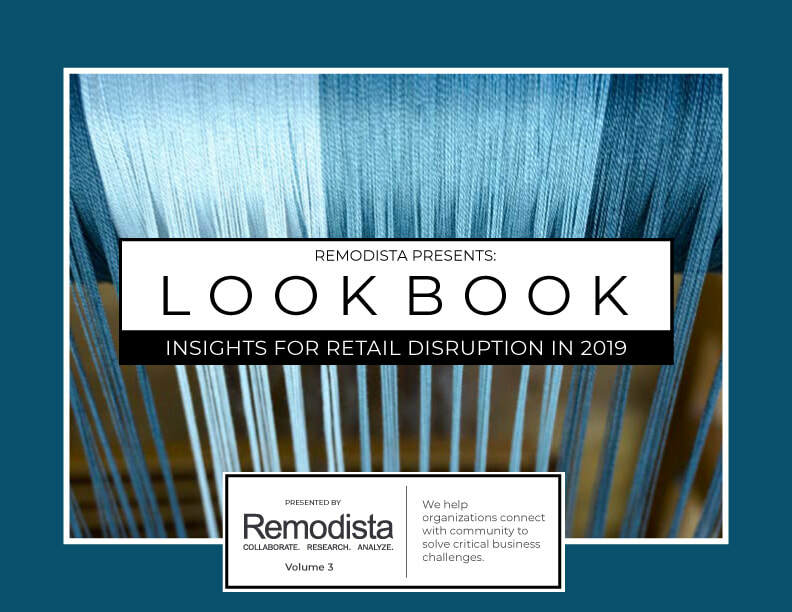 Based on a year of expertise, insights, events and collective knowledge, the 2019 Look Book is officially out. We work closely with experts across the industries to create solutions and tackle challenges. You've got challenges. Our resources can help you solve them quicker. Innovation is great, but are you actually solving customer challenges? More women leaders means better bottom lines. Close the gender gap to win. We're celebrating women leaders from brands and service providers in the US, Australia, and Europe. Learn how you can support the most innovative women in business. ​With brand leaders and best-in-class service providers available to our staff of content creators, we’re in a unique position to build expert content that serves the community. Here are a few of our most recent expert pieces. What verticals do we serve? We focus on the fastest moving and most innovative industries. We're diving deeply into what makes a community an effective tool for brands. Are you a brand leader interested in learning more about what it takes to turn buyers into community members? Apply today!